Custom make your AV unit just the way you want it. This one features soft closing full extension drawers with concealed undercounted runners, integrated cable management and plenty of ventilation. The shelf can be fixed or adjustable and the unit can be made from a variety of woods and finished in a colour of choice. The one featured is 1400w x 500h x 500d but you can have yours made in any size you like. Made from a mixture of real oak veneer and solid oak the guide price is £899. 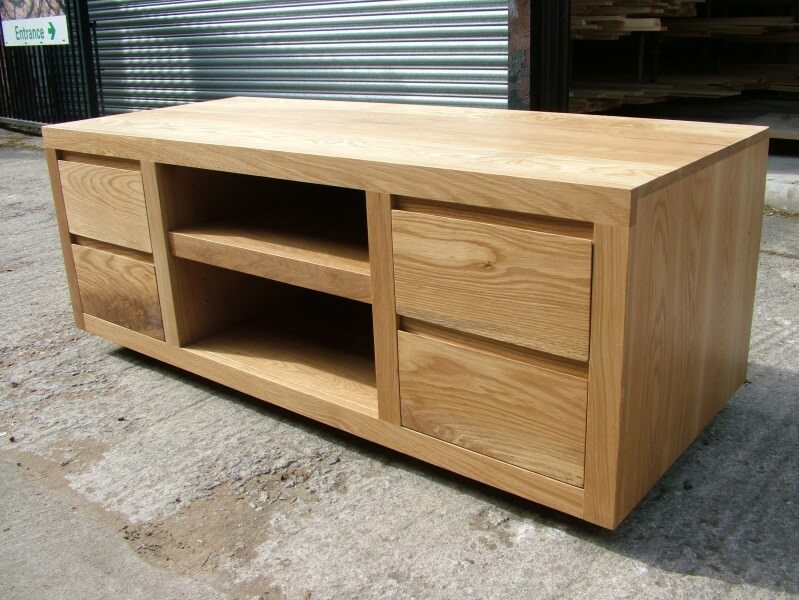 Made entirely from solid oak the unit costs £1066.